The largest genome-wide association studies have identified schizophrenia and intelligence associated variants in the MIR137HG locus containing genes encoding microRNA-137 and microRNA-2682. In the present study, we investigated DNA methylation in the MIR137HG intragenic CpG island (CGI) in the peripheral blood of 44 patients with schizophrenia and 50 healthy controls. The CGI included the entire MIR137 gene and the region adjacent to the 5'-end of MIR2682. The aim of the study was to examine the relationship of the CGI methylation with schizophrenia and cognitive functioning. The methylation level of 91 CpG located in the selected region was established for each participant by means of single-molecule real-time bisulfite sequencing. All subjects completed the battery of neuropsychological tests. We found that the CGI was hypomethylated in both groups, except for one site—CpG (chr1: 98 511 049), with significant interindividual variability in methylation. A higher level of methylation of this CpG was seen in male patients and was associated with a decrease in the cognitive index in the combined sample of patients and controls. Our data suggest that further investigation of mechanisms that regulate the MIR137 and MIR2682 genes expression might help to understand the molecular basis of cognitive deficits in schizophrenia. The present study was supported by the Russian Science Foundation (project no. 16-15-00056). M.V. 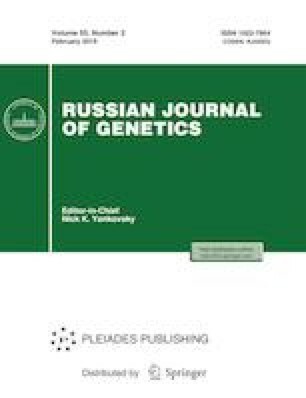 Alfimova and N.V. Kondratiev contributed equally to this study. Conflict of interests. The authors declare that they have no conflict of interest. Statement of compliance with standards of research involving humans as subjects. All procedures performed in studies involving human participants were in accordance with the ethical standards of the institutional and/or national research committee and with the 1964 Helsinki Declaration and its later amendments or comparable ethical standards. Informed consent was obtained from all individual participants involved in the study. All enrolled individuals signed an informed consent to participate in the study, donated blood for DNA extraction, and completed a battery of neuropsychological tests and forms for collection of sociodemographic data. The study was approved by the Ethics Committee of the Mental Health Research Center (Moscow, Russia). Li, Z., Chen, J., Yu, H., et al., Genome-wide association analysis identifies 30 new susceptibility loci for schizophrenia, Nat. Genet., 2017, vol. 49, no. 11, pp. 1576—1583. https://doi.org/10.1038/ng.3973.